Mention Chinese actresses and svelte, raven-haired beauties come to mind. All countries can boast of having head-turning women; China, Hong Kong, and Taiwan are no exceptions. With dark, lustrous hair and fair complexions, celebrities from these countries are among the most beautiful women in the world. Read this list to discover the most eye-catching Chinese actresses in 2016. At number 10 is the alluring, ever-beautiful Taiwanese model-actress, Lin Chi-Ling. The Taiwanese media handed her the accolade “The First Beauty of Taiwan” because of her gentle demeanor and perfect figure. Her rise to fame was meteoric: a Taiwanese commentator noted this and called it the Lin Chi-Ling phenomenon. A long-time player in the unpredictable Chinese movie industry, s\he never fails to make jaws drop. She counts being the ambassador for Longines and China Airlines among her accomplishments. Possessing a degree in Western art history and economics, she is a combination of beauty and brains. The model-actress is a dedicated philanthropist as well, having established the Chiling Charity Foundation. In 9th place on this list is Vicki Zhao Wei, unarguably one of the most attractive faces in China. The actress, singer, and film director is one of the “Four Dan Actresses” in China, a term awarded to celebrities with tremendous star billing. She only needs to grace a movie with a cameo appearance to turn it into a blockbuster. Zhao Wei received a Masters in Film Directing in 2012 and made her directorial debut with So Young. Her works include popular television series Romance in the Rain and Tiger Mom. She is well-known for her portrayal of female warrior Mulan in My Fair Princess, and her role in A Time to Love. Holding the eighth spot is Beijing-born actress, Gao Yuan Yuan. Although the beauty is not a graduate of drama, she has garnered recognition for her natural acting abilities. She began her career in 1997 with a minor role in Zhang Yang’s Spicy Love Soup. Her rise to fame, however, was not as fast as it was for Lin Chi-Ling. She only grabbed attention in 2002 with her role as Zhou Zhirou, a character in a television series with the same title. She gained international fame with the film ShangHai Dreams, which won a Prix de Jury prize. Jackie Chan selected her for her role in Rob-B-Hood. She won the Best Actress Award at the 18th Beijing Chunyuan Awards for her role as a “leftover” unmarried woman who crosses paths with a man who has marriage phobia. 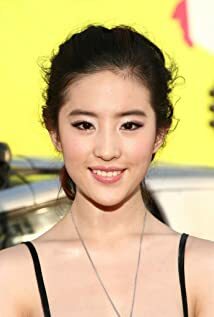 The seventh spot goes to Jiang Qin Qin, another hot, jaw-dropping actress from China. This charming lady has entered the fourth decade of her life, but her allure and beauty are difficult to challenge. She became a student of Beijing Opera at the age of 10 and entered the Beijing Film Academy in 1994. After graduating from it four years later, Jain joined the Beijing Film Studio and received her first starring role in Tears in Heaven. She is well-known for her roles in The Legend of the Condor Heroes Affair of a Lifetime and A Loud Slap. Coming in 6th place is effervescent actress-singer, Barbie Hsu, who gained fame for her acting skills, singing ability, and of course, being a feast for the eyes. She formed the pop group SOS with her younger sister, Dee Hsu. As the term SOS was misleading, they changed the name of the group to ASOS. She is also a prolific author, having produced a book of poetry, Penny Dreadful. Fans recognize her for her role as Shen Cai in Meteor Garden. She also played opposite Vic Chou of F4 in the film, Mars. Tissot Watches engaged her as an ambassador. She married Chinese entrepreneur Wang XiaoFei in 2010. The couple has two children. This dazzling beauty was a star of KFC advertisements before being noticed by comedian-director Stephen Chow. The star, famous for her looks and acting skills, has appeared on the covers of renowned magazines such as Elle. The graduate of an acting school in Shanghai played a minor role in the movie, The Longest Night in Shanghai. Her role in 2008’s CJ7, beside Stephen Chow, gave her career a boost. Chow has a longstanding reputation for starring opposite new actresses who later gain fame. Yuqi indeed began to land bigger roles in movies after starring in CJ7, and was called one of the “Star Girls.” She went on to appear in theJapanese film Shaolin Girl and the Chinese drama, All About Women. Zhang XinYu grabs the fourth spot. Known as Viann Zhang, she is a consummate actress, singer and thanks to a fabulous figure, a model as well. Her background, however, was in business. The graduate of the Wuxi Institute of Commerce appeared in a few television series, such as Banner Hero (2007), Qian DuoDuo gets married (2010) and You are the One. She went on to land major starring roles in films like Summer Love Love, No Liar, No Cry and Flying Swords and Dragon Gate. Her star billing increased in 2012 when she co-starred with Eric Tsang and Stanley Fung in the movie I Love Hong Kong. She was Liang Hongyu in the drama, The Patriot Yue Fei. International star Gong Li continues to stun, despite being in her fifties. The breathtaking beauty gained prominence because of her close collaboration with acclaimed director Zhang Yimou. Critics credit her for bringing Chinese cinema to the United States. After graduating from the Central Academy of Drama in Beijing, she began working with Zhang. She made her debut with the movie, Red Sorghum. She gained further recognition for her roles in Raise the Red Lantern and Memoirs of a Geisha. She is known for her flawless acting techniques and elegance. The actress is the proud recipient of the 1993 New York Film Critics Circle Award, which she earned for her role in Farewell to My Concubine. She also received the Berlinale Camera at the 43rd Berlin International Film Festival that year. Liu has a pedigree; she is the daughter of An ShaoKang, a First Secretary in the Chinese Embassy in France, and Liu XiaoLi, a talented stage performer. After her parents’ divorce, she adopted her mother’s family name and started her modeling career. Liu received offers to star in television series upon entering the Beijing Film Academy. She first appeared in The Story of a Noble Family, which became the highest rated show on CCTV. She starred in Taiwanese films like Love of May and Paladin. One of her most famous roles is that of XiaoLongNu in The Return of the Condor Heroes, based on Louis Cha’s novel of the same name. Organizers selected her to be the Golden Eagle at the 6th China Golden Eagle TV Art Festival. No one deserves the top spot on this list more than Zhang Ziyi. No one can deny her beauty, charm, and elegance. Her well-honed acting skills add to her allure. She gained international recognition for her role as Yu Jiao in the martial arts film, Crouching Tiger, Hidden Dragon. The groundbreaking Chinese drama earned her Best Supporting Actress Awards at the 54th British Academy Film Awards, the Independent Spirt Awards, the Toronto Film Critics Association Awards and the Chicago Film Critics Association Awards. Her rise to international stardom did not stop. She appeared in the Hollywood Movie Rush Hour 2 opposite Jackie Chan. Her role, though minor, made her one of the most sought after Asian actresses. She appeared in Hero, directed by mentor Zhang Yimou, which won a Golden Globe for Best Foreign Language Film. The actress starred opposite Andy Lau in the House of Flying Daggers, In which she displayed her musical talent. Her rendition of the poem Jia Ren Qiu pushed the film to break box office records. Chinese actresses wow fans with their perfect looks, unending charm and consummate acting skills. They will continue to make impressions for a long time to come.